Which Is Better for Incidental Spills: Shop Rags or Absorbent Pads? Ah, yes — the good old-fashioned shop rag. They’re a convenient way to clean up incidental spills and prevent slip-and-fall injuries, reusing them can help your business’s sustainability efforts, and they never go out of style! But cloth rags can only absorb a limited amount of spilled liquid. In a shop or garage where minor spills and leaks are frequent, you may find yourself going through a lot of rags quickly. If you’re looking for a longer lasting and more efficient alternative spill cleanup product, you should consider absorbent pads and rolls. 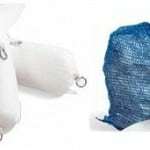 Pads and rolls are available as a universal absorbent to absorb any liquid (gray), oil-only to absorb hydrocarbon fluids only (white), and hazmat for aggressive fluids (yellow). The patented layers are designed for all work areas and can absorb water, greases, oils, and other mechanical fluids. Their durable construction makes the pads and rolls less likely to fall apart or tear. And best of all, they’re easily disposable! Rags must be laundered or disposed of after each use. Rags tear and fall apart with use. You may have different sizes of rags, and thus need more for a single cleanup. You may need to buy new batches of rags frequently. Unlike shop rags, our spill cleanup absorbent pads and absorbent rolls protect work areas because they catch the spill as it happens. Additionally, they absorb a lot more liquid than rags. 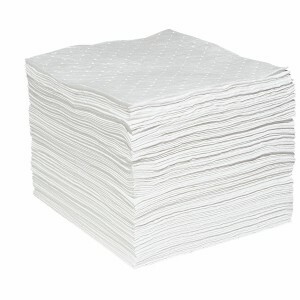 For example, a single heavy weight Universal Absorbent Pad absorbs 37 ounces of liquid; our Spill Cleanup Absorbent Roll with Backing absorbs 18 gallons per roll. It’s a good idea to have rags on hand for minor cleanup jobs. But with the help of absorbent pads with backing, you’ll find yourself wiping up incidental spills a lot less frequently — and saving money in the long run. Want to learn more about spill-cleanup products? AbsorbentsOnline can help. Contact Travis Zdrazil at travis@absorbentsonline.com or (800) 869-9633. 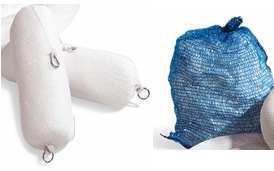 Several of AbsorbentsOnline’s absorbent pad and roll products are on sale for a limited time! Compare our pad and roll to the same products sold elsewhere. You’ll be pleasantly surprised at our low prices!